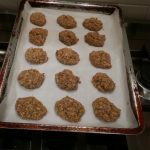 These cookies are great for morning or afternoon tea as well as pre and post workouts. They have apples and almonds for that great hit good fats, fiber, and protein. Just what you need for fuel before or after a workout or just because! Combine all ingredients except eggs in food processor. Pulse until pieces are small, yet still chunky. Combine mixture with eggs in a large mixing bowl and mix well. 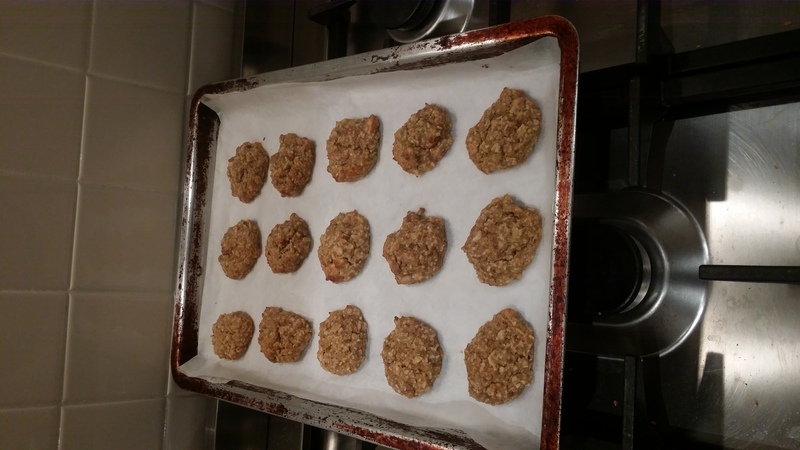 Shape mixture into cookies, I use a tablespoon of mixture, and flatten them out a bit. Bake in preheated oven for 30- 35 minutes. These are very filling cookies, two cookies equals a serving. I would store these little gems in your freezer to keep them fresh for longer. They don’t have preservatives and go soft quickly.